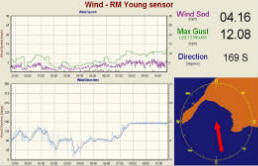 Recent News: - Recent news from Ocean Data Systems Ltd. 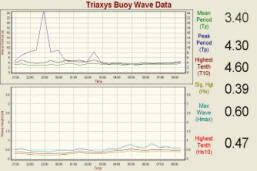 Ocean Data Systems has recently supplied an Axys Technologies Watchkeeper Buoy to NIWA Wellington. The buoy is deployed in Wellington Harbour and is currently fitted with a comprehensive array of meteorological, wave, current and water quality sensors both at surface and at 5m depth. Data is being sampled every 10 to 30 minutes, depending on the parameters in question and telemetered to shore by cellphone link. The buoy is also fitted with satellite telemetry as backup and for asset management purposes. 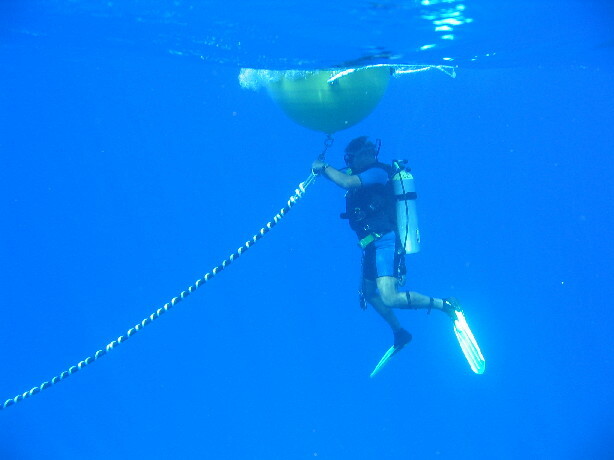 Eventually, a package of seabed mounted sensors will be added to the installation, linked by acoustic modems integrated both in the buoy and on the seabed. 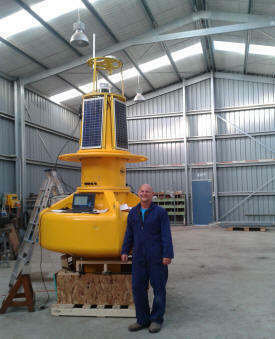 Ocean Data Systems has recently supplied and commissioned an Axys Watchkeeper buoy for wave measurement at the Port of Gisborne. Fitted with a Watchman 500 processor and Next Wave OEM Triaxys directional wave sensor, the buoy utilises the latest generation of electronics platform developed by Axys technologies Inc. A GPRS link with shore provides for data reception and full remote control of the buoy and it's operational parameters. In conjunction with other environmental monitoring equipment and software provide by Ocean Data Systems, the buoy is used in day to day port operations and assists with the safe transit of vessels in and out of the port. The supply to Eastland Infrastructure puts into double figures, the total number of Ayxs wavebuoys supplied by Ocean Data Systems Ltd. In June 2011, Ocean Data Systems supplied a RESON 7125 SV2 Dual Frequency Multibeam Echo Sounder to Auckland based dredging company Heron Construction ltd. Heron made the decision to purchase the 7125 along with an Applanix POS M/V 320 geo-referencing system to support their dredging operations but in particular to assist with a port development project being undertaken in Port Newcastle, NSW Australia. 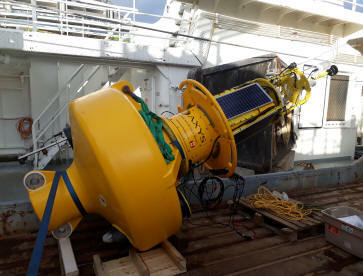 The system was installed in Newcastle using an over the side mount, on a port tug boat named " Nautilus" and remained there for some months before being shipped back to New Zealand where it was used in survey operations around the RENA container ship wreck off Tauranga to provide salvors with detailed information about the stability of the wreck on the reef. 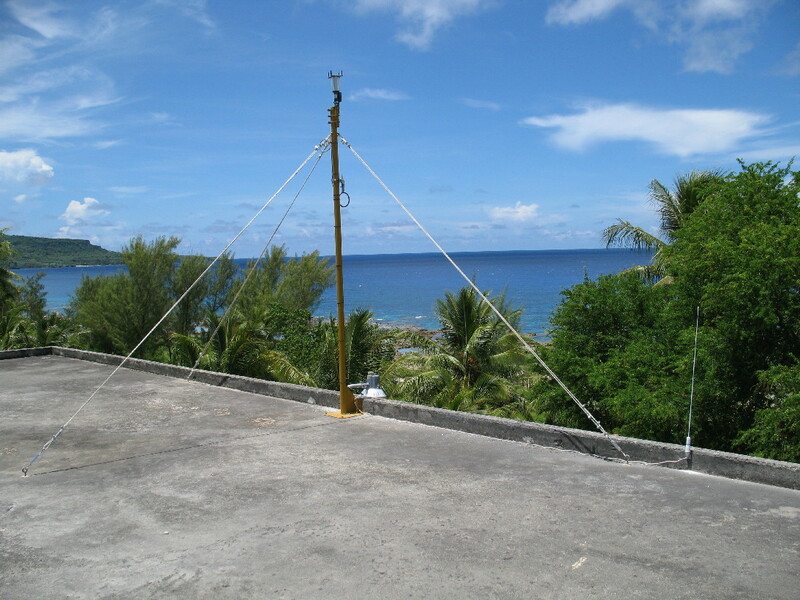 Ocean Data Systems Ltd has recently delivered and installed a Wave and Wind monitoring system for Mobil Oil on the island of Rota, situated in the Northern Marianas Islands north of Guam. Mobil Oil will use the data mainly in support of their tanker discharge operations for the island, but also to build up a database of wind and wave data to assist with engineering design requirements. 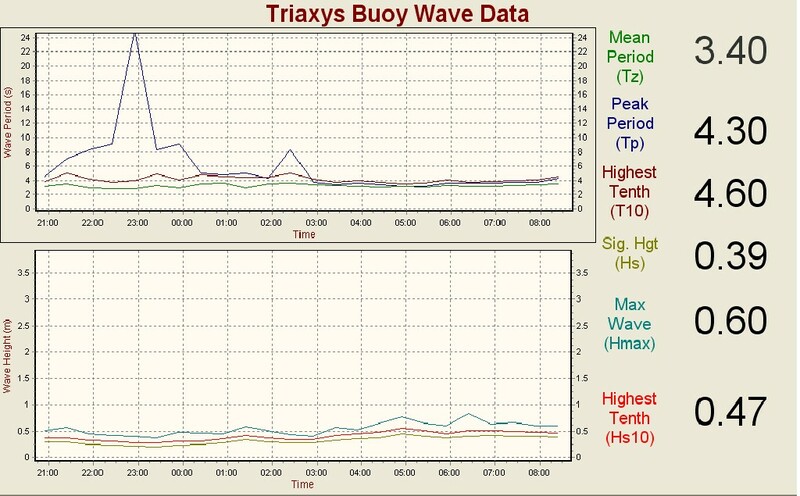 The system hardware is comprised of a Triaxys Wave Buoy with Spread Spectrum telemetry and Inmarsatd+ for position monitoring and remote configuration of the buoy, an RM Young ultrasonic Anemometer and also a VHF pager system which can provide remote warnings of preset wind and/or wave conditions to Mobil staff as they supervise discharge operations from various parts of the facility. EDSM and ENVIEW software from Bimaris Ltd, was used to integrate, display and archive data from both the Wave buoy and the Anemometer and also to provide the pager functionality. Enview was configured to provide display pages for Buoy location, Wave Statistics, Spectral data, Wind Speed and Direction, Wavebuoy Voltage/ Solar Current and lastly Sea Surface temperature, with all data products stored in .dbf files for later distribution, review and analysis. The pager driver allows warning states to be assigned to any of the digital parameters displayed and a user defined text message to be sent to the hand held pager.